I think by laying out my finds in a beautiful, graphic way, it gets people interested, more than just a pile of trash. Called "the French California", the Basque Country is considered a surfing mecca and a heaven for ocean lovers. Its fishing port, La Grande Plage, La Côte des Basques, Le Rocher de la Vierge, its sandy beaches and its turquoise waters at low tide make Biarritz a trendy holiday getaway for tourists. However, with the plastic pollution spectacle hitting our coasts, the "Queen of the Basque coast" has been showing another face. That's what American graphic designer and owner of Orange Paper Shoppe Rebecca Kudela Grettenberger tries to reveal in her artistic layouts. 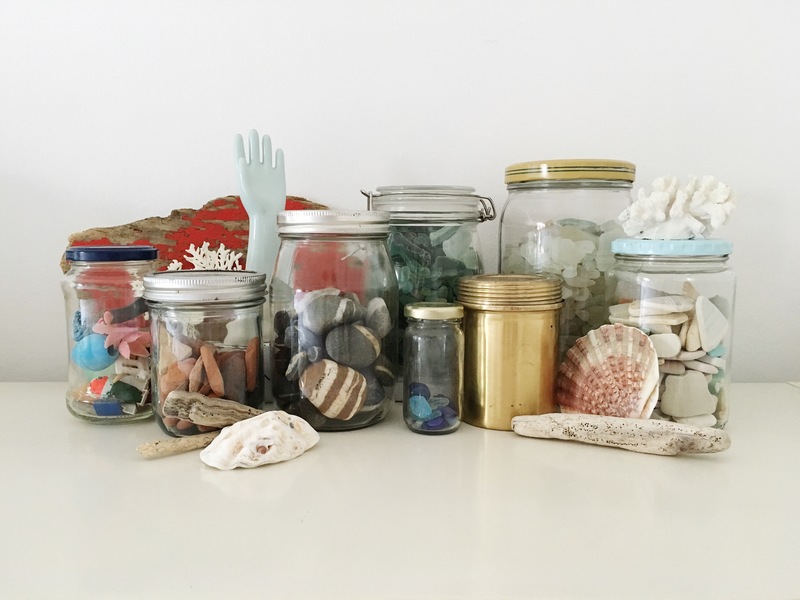 Few years ago, Rebecca started beach combing in Biarritz the first week she moved there. Feeling homesick, beach combing was something familiar she could do to make her feel like she was back home. Since then, she's been trying to make more of a conscious effort to not just collect beach treasures but to also collect more trash. Today, her beach clean ups in California, Spain, Mexico, Hawaii, Greece, Italy, France, or along the thames in London help bring awareness to all the trash in our oceans. We met her to learn more about her daily walks on the beach and her recent project "Sea and Gather". Hi Becca, you grew up in California, 2 hours away from the Pacific Ocean. How did you shape yourself this strong passion for the ocean? Even though I didn’t grow up by the ocean, our parents would take us to the beach every summer. We would go camping in Santa Cruz, or spend weekends exploring Carmel and Monterey, Pismo or Morro Bay. I loved the beach and knew I wanted to live by the beach when I was old enough to move out on my own. As soon as I graduated high school I moved to San Diego for college and haven’t left the beach ever since! When did you start beach combing? Do you remember the very first time? I started beach combing during our trips to the beach when we were little, mostly collecting shells. I remember finding huge sand dollars on the beach in Pismo and my mom still has jars of shells we collected in Carmel. Since we didn’t live by the beach we always loved bringing small pieces of the beach home with us. Everyday, you go to the beach and pick up piles of trash. What does your morning routine look like? I am an avid runner and run almost every day, so I often time my runs around low tide. I do a 6 mile loop up to the Biarritz lighthouse, to the end of the Cote des Basque and back, and end the run at the beach where I collect treasures and trash. I usually bring a small bag with me in my pocket when I run so when I’m done I can collect. Often on the weekends I life to go surfing with my husband so depending on the tide we will spend time doing a beach clean / comb before or after our surf. You’re currently living in Biarritz in France but try to travel across Europe as often as possible. 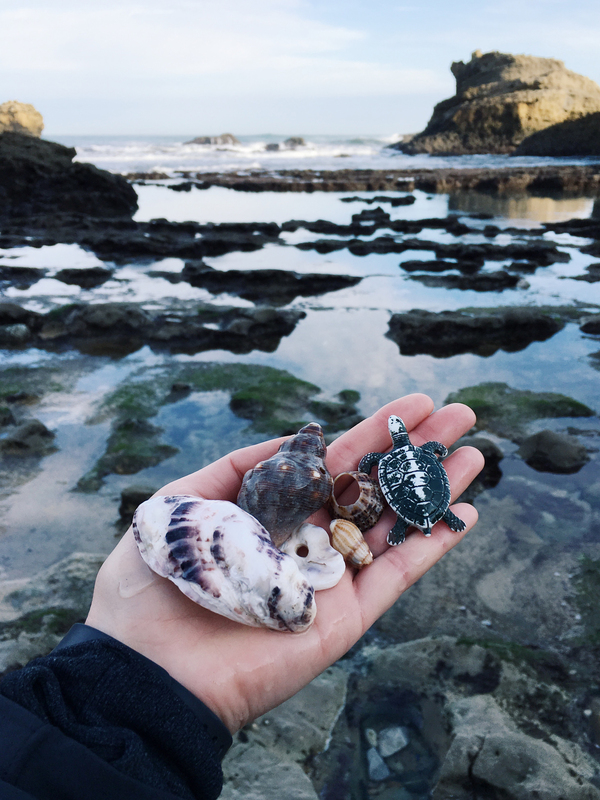 Tell us about all the beautiful places you found yourself picking up some trash..
Beachcombing in different countries is my favorite thing! So many different things wash up in each country… I’ve beachcombed in Porto, Portugal where I found lots of shells and seaglass. In Santorini, Greece I found colorful sea pottery. Near Rosarito in Baja, Mexico I always find plastic toys (doll arms - my favorite! 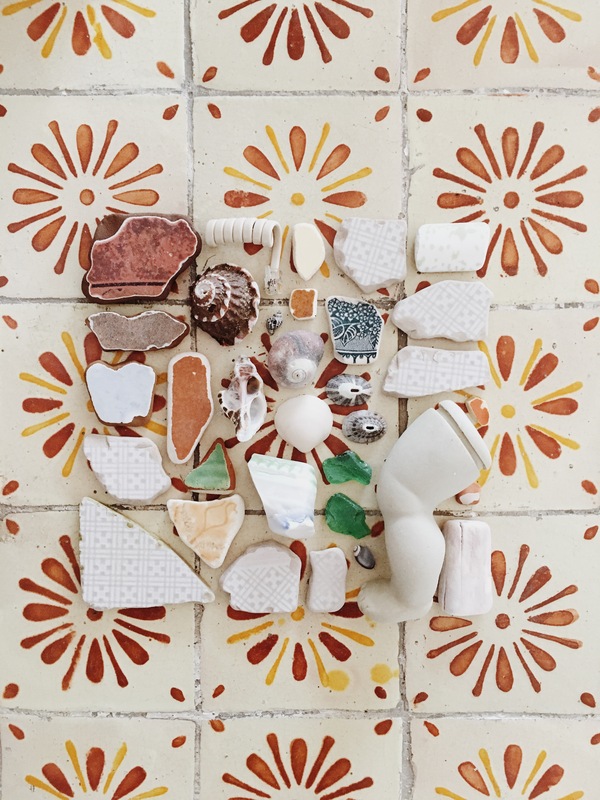 haha) surf fins (close to some of the most popular surf spots) and pieces of Mexican tiles. I have some secret spots in northern Spain where I’ve found some of my most unique pieces of sea glass in rare colors like purple and deep turquoise. Mazatlan, Mexico and any island in Hawaii are where I find the most unique shells. 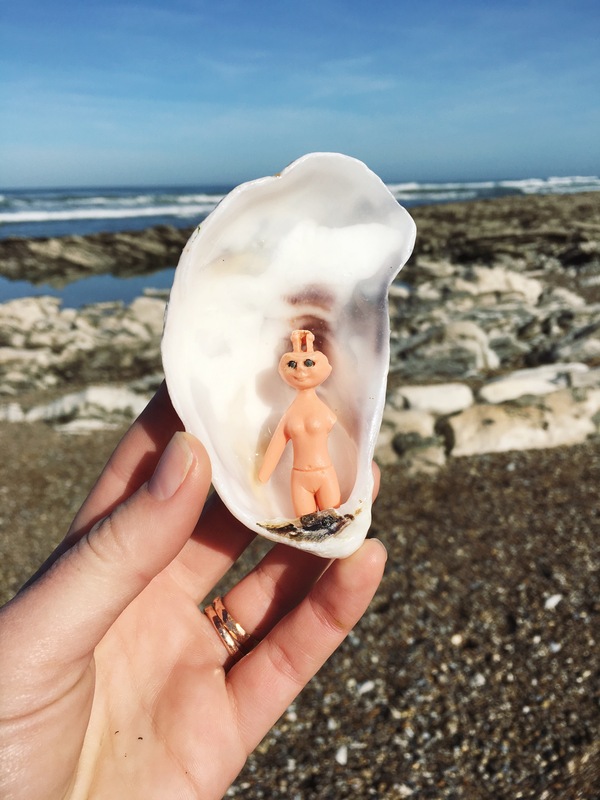 Some of my most favorite finds are from my backyard in Biarritz, where I find sea marbles, porcelain doll heads and toys that seem really old, lots of terra cotta and pottery pieces and of course tons of trash. Yes! I spent a weekend in London in February with my best friend and every day while we were walking along the Thames we went down to the beach at low tide. Within the first few minutes down on the beach I found a few beautiful pieces of pottery that seemed very old, so I kept searching and found many more cool treasures like pieces of old bottles and glass containers. The finds were so unique we went back again the next day. The Thames beaches are really dirty so we made sure to pick up a few pieces of trash while we were searching for treasures! You discovered the community of beach combers in London, didn’t you? 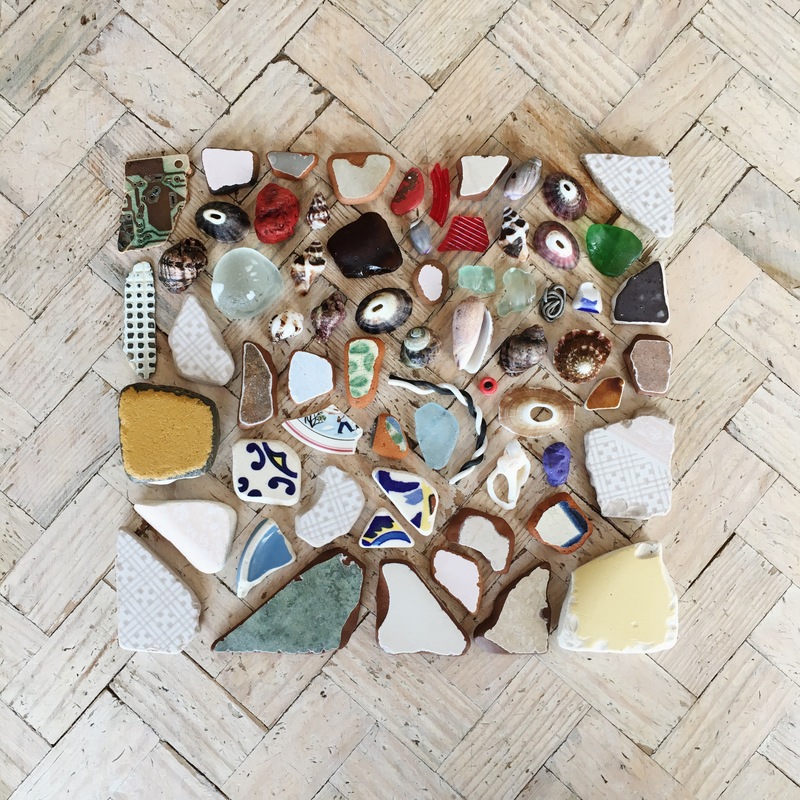 Yes, through Instagram I discovered there are quite a few beachcombers who live in London and comb the shores of the Thames, they call it ‘Mudlarking’ vs. beachcombing - they find some pretty incredible treasures, there’s so much history along those river banks! A few of my favorites : @mrmudlark @thamesplastic. 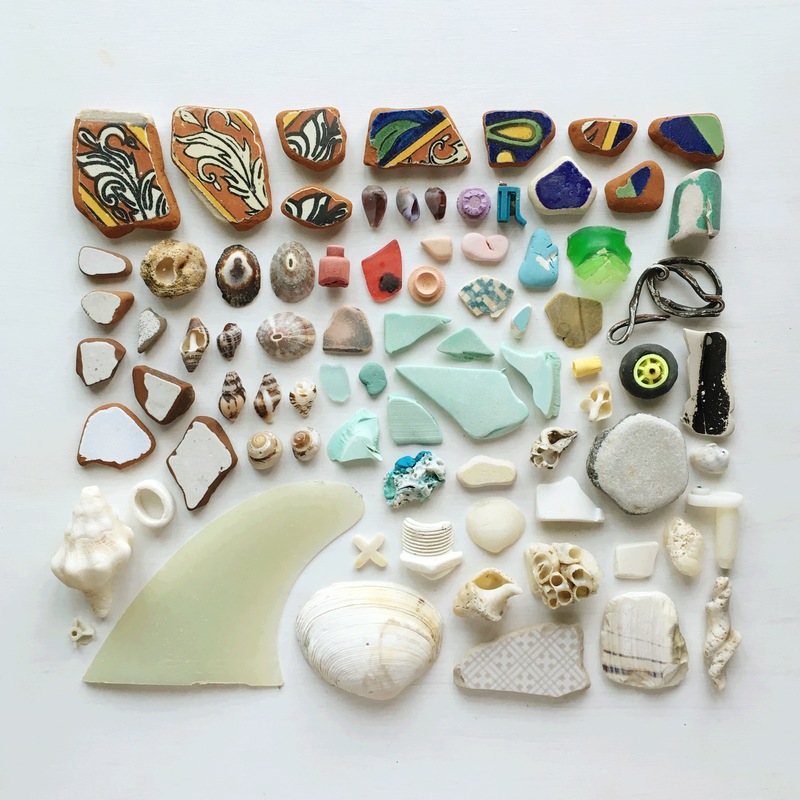 You often call beach combing « treasure hunting ». What have been the craziest things you found on the beach? 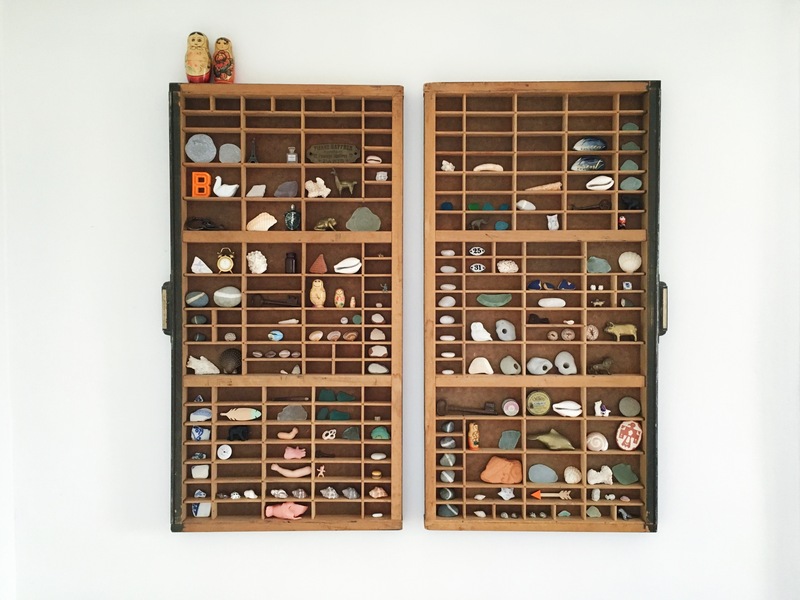 My favorite types of treasures are sea marbles, sea pottery, rare colors of sea glass (which I find much more of in Europe than the US), and plastic doll body parts like arms and legs - they make me laugh! My favorite find was a small porcelain doll head, about a 1/2 inch tall - I think it’s very old. You often find ‘Mermaid Tears’, those miniature round pieces of plastic, also known as nurdles, mistaken as food by fish…? They are hard to spot, but they are everywhere if you look closely along the tide line. The smallest pieces of plastic are often the most dangerous because sea creatures mistake them for food. My goal this year was to fill an entire jar with these small plastic bead-like balls… they’re so miniature they take a long time to collect, but I try to do it as often as I can. You recently created your Instagram account entitled « Sea and Gather » where you make nice pictures of organized little plastic beach trash you find on the beaches. Tell us more about the concept and process of creation? The instagram account is just the start of what I hope to be a larger project. I plan to launch a website where I can document my finds in greater detail, and use my artistic layouts to help bring awareness to all the trash that is in our oceans. A combination of art and using my passion to bring awareness. Would you say you gave yourself a mission of raising awareness through creativity? Yes… I think by laying out my finds in a beautiful, graphic way, it gets people interested, more than just a pile of trash. I’m really interested in showing the comparison of things that SHOULD be on the beach, like shells and beautiful rocks next to things that should NOT be on the beach, like plastic & trash. At first glance it’s a pretty picture, but it also helps people be a little more conscious about where their trash is ending up, right? 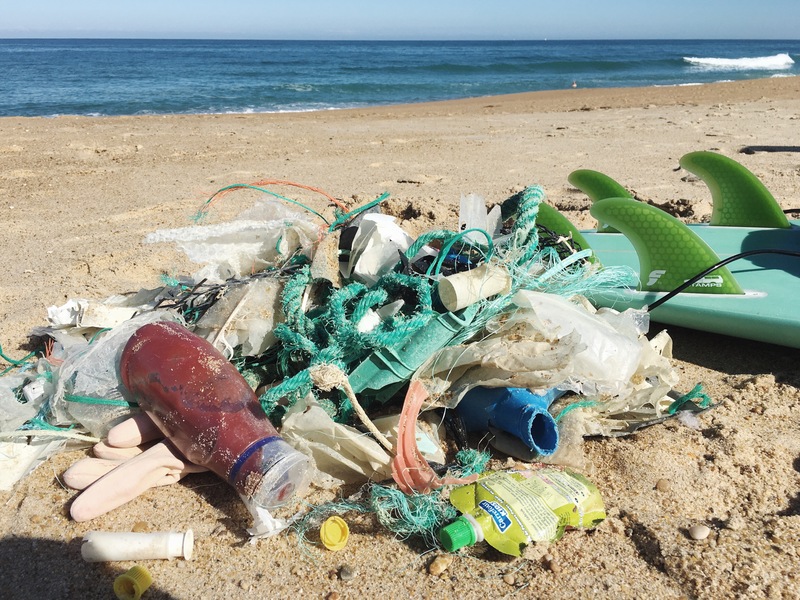 When I find objects on the beach that are recognizable to people as something simple they use in their everyday lives, like straws, utensils, razors, toothbrushes, tampon applicators, toys, I think it helps people realize that everyday items can end up in the ocean, more than just an abstract piece of plastic. Seeing something like a toothbrush on the beach (or multiple toothbrushes, in just a few feet - gross! ), an everyday object that everyone uses, will hopefully help people be more conscious about the single use plastics they are consuming. It’s a good reminder to consume less, especially less plastic! You recently did an awesome discovery in Biarritz… Your first letter in a bottle! Tell us that crazy story! I was doing a beach cleanup by myself early in the morning, in honor of Earth Day. 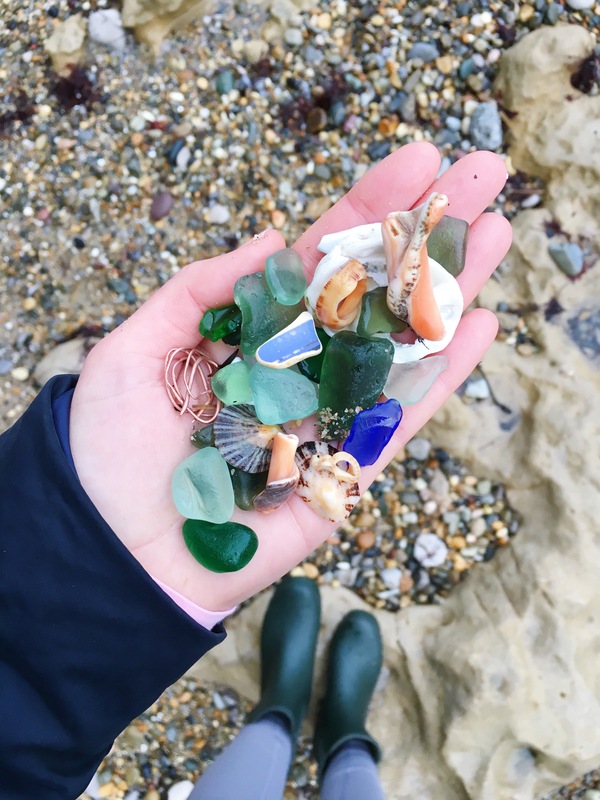 I was picking up trash all over the beaches of Biarritz, and I reached down to grab an empty water bottle and throw it in my bag of trash… I felt that the water bottle was weighted down and saw it was filled with little rocks and a rolled up note! I immediately opened the bottle to discover a note inside from a man named Max from Switzerland, hoping someone would discover his letter and send him some snail mail by post in return. It was a very magical moment! You’re going to write this guy back? Definitely! As an owner of a stationery brand, I’m always encouraging people to keep the art of letter writing alive, so of course I was excited that Max wanted a hand written letter! 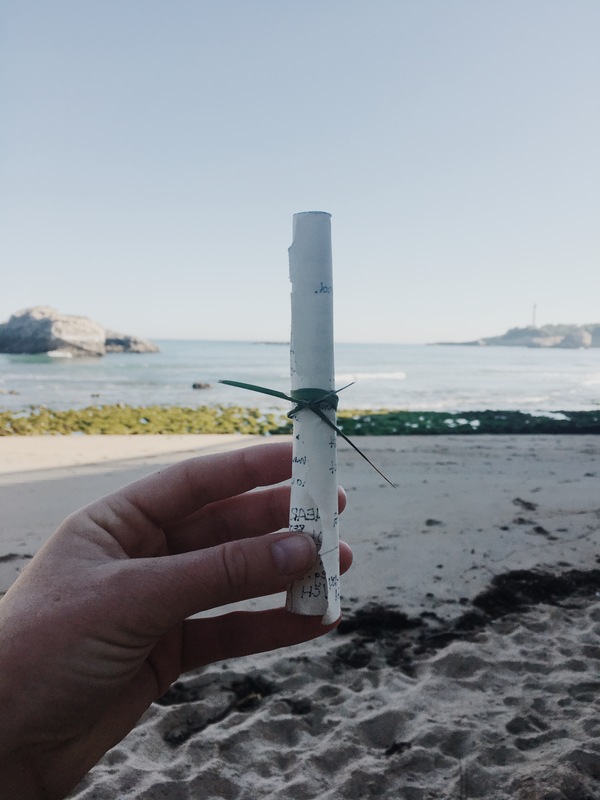 Beachcombing + letter writing are two of my favorite things, so I think this letter ended up in the right hands! 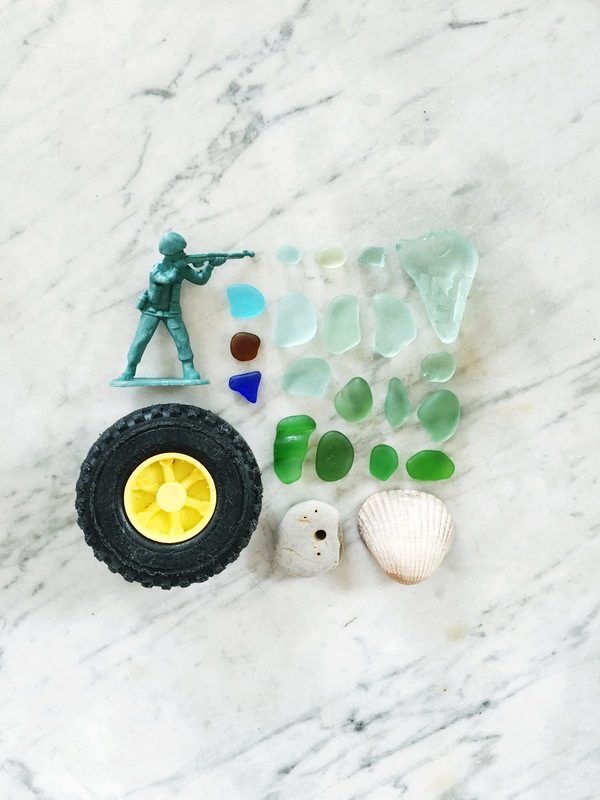 Follow Sea and Gather's trash and treasures here.